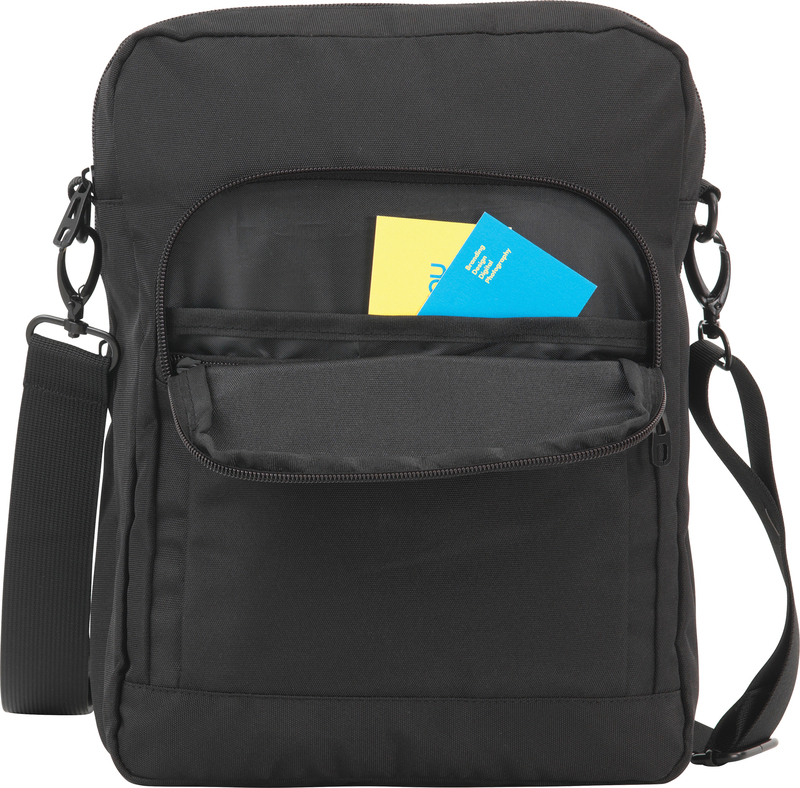 Description: Executive Business Bag made from REACH compliant 900d polyester. 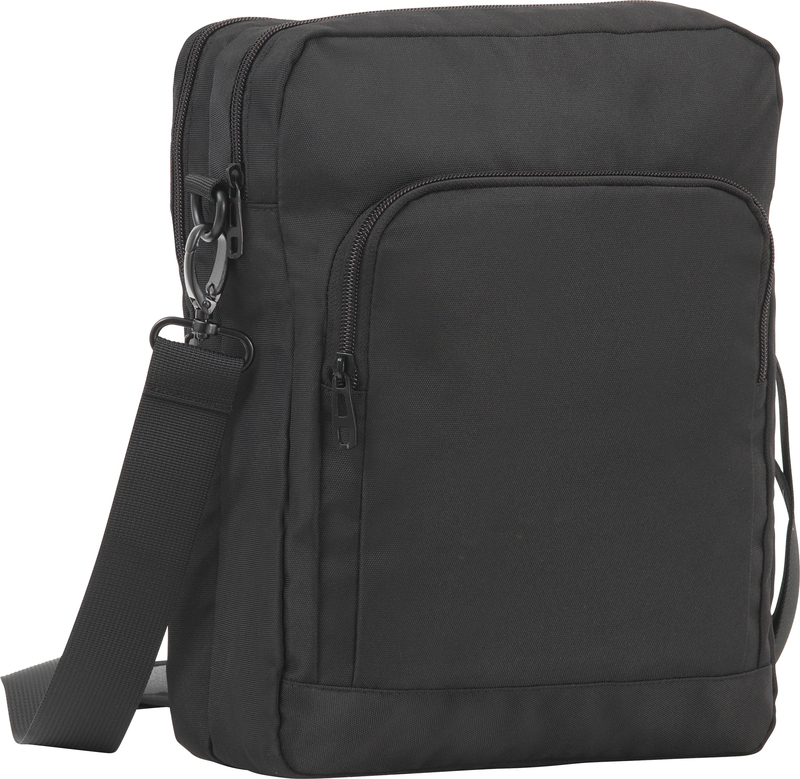 Adjustable shoulder strap with metal fittings. 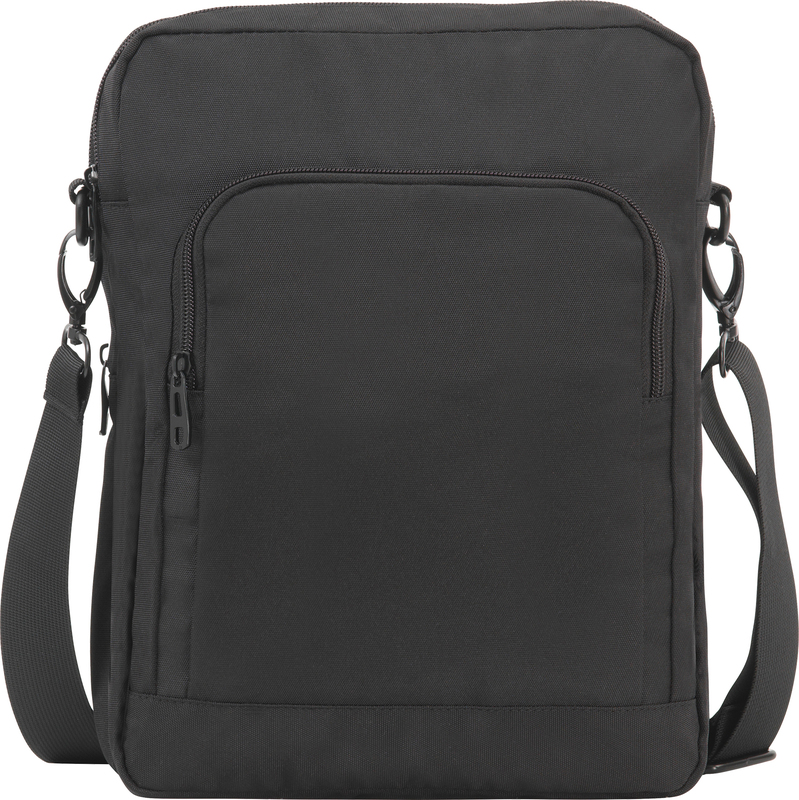 External and internal compartments with zipped closures. 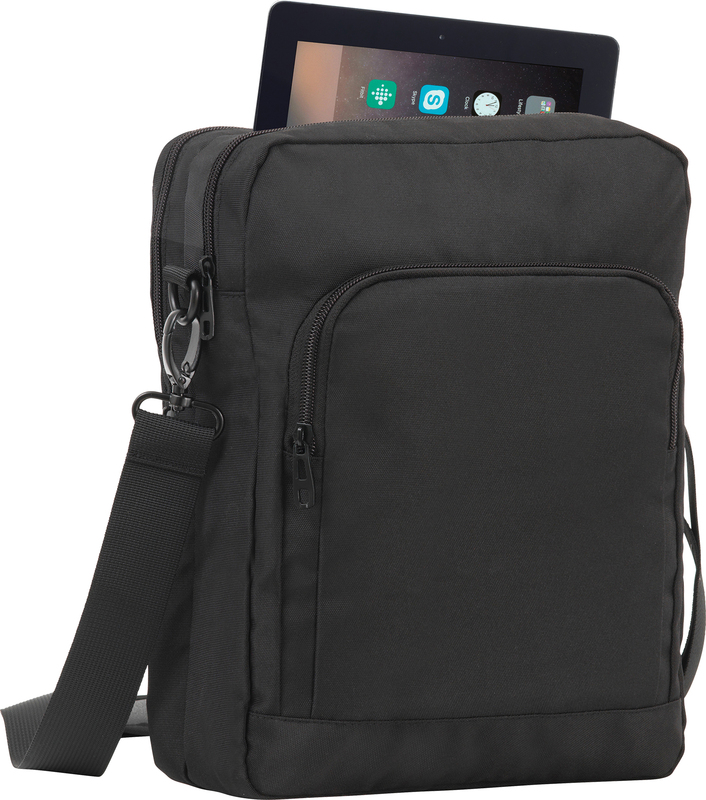 Padded to fit tablets and small laptops.